So you got a new iPhone X or iPhone 8 (Plus) with iOS 12 and want to transfer all your WhatsApp messages to the new device. 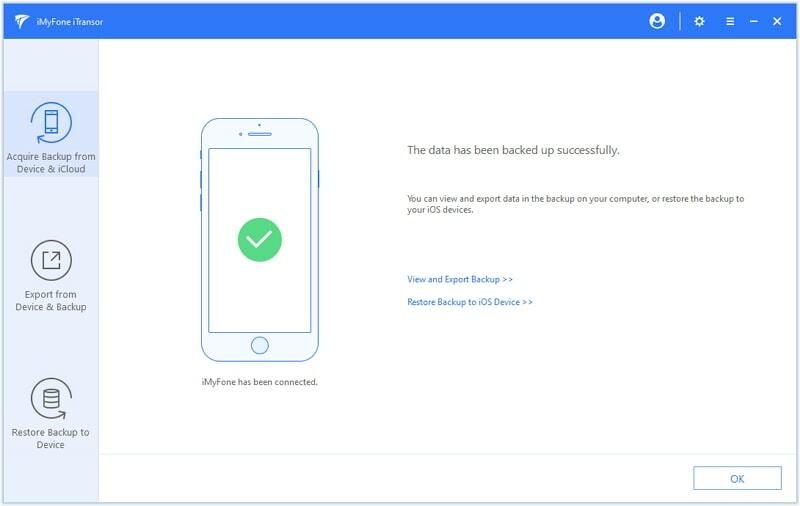 Save for restoring an iTunes or iCloud backup to the new device, most people are unaware that there are ways to transfer data to the new device without having to restore the new device to factory settings. There are ways that even allow you to select WhatsApp messages you can transfer to the new device. In this article, we share with you 4 different ways you can get WhatsApp messages from one iPhone to another. You can use the iCloud auto-backup option to transfer WhatsApp data between iOS devices. The downside of this method is you can’t choose what data gets restored. 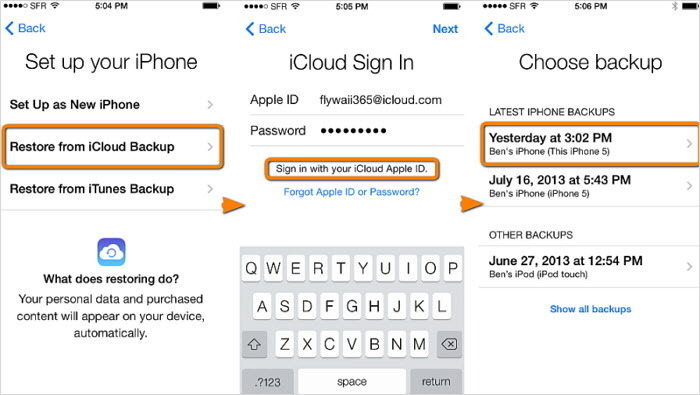 All data included in the iCloud auto-backup will be restored to the new device. Step 3: On the set-up screen, follow the instructions until you get to the “Apps & Data” section. Here choose “Restore from iCloud Backup” and then allow for the restore process to be completed. 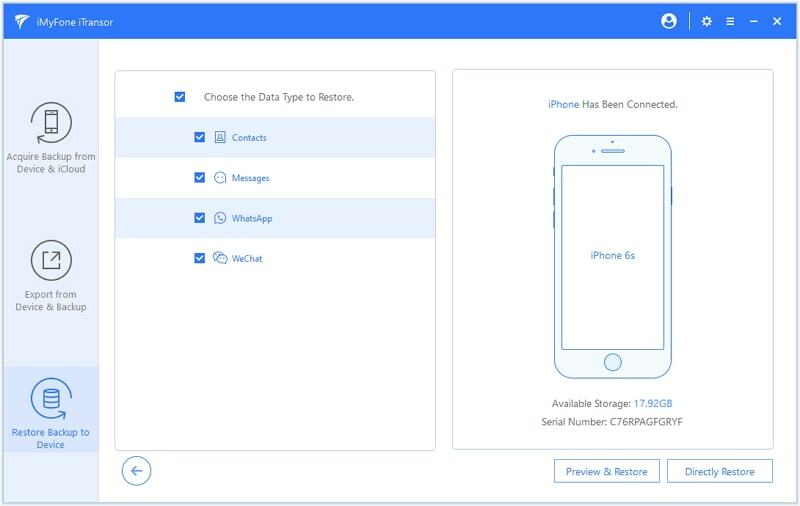 If you want to transfer only the WhatsApp messages from one iPhone to another, you will need a backup and restore tool that allows you to do just that. The only backup and restore tool that is designed to allow to selectively restore only WhatsApp messages is iMyFone iTransor (renamed from D-Port Pro). With this program, you can back up only WhatsApp messages on the first iPhone and restore the same to the second iPhone without data loss. 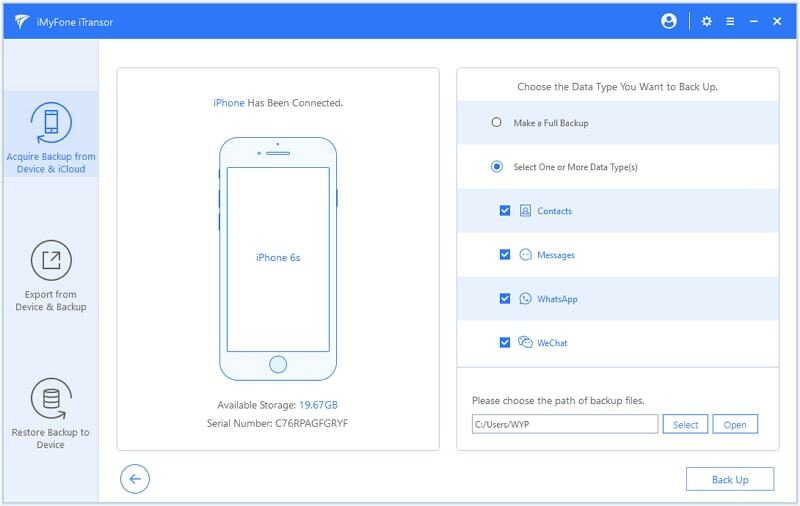 It can also be used to backup and restore just your Messages, Contacts, WhatsApp and WeChat data without overwriting the other data on their devices. in addition, it worls well with iOS 12/11/10/9 and etc. To transfer WhatsApp messages from one iPhone to another, we first need to back up the messages on the first iPhone to the computer using iTransor. Follow these simple steps to do that. Step 1: Launch iTransor after downloading and installing. 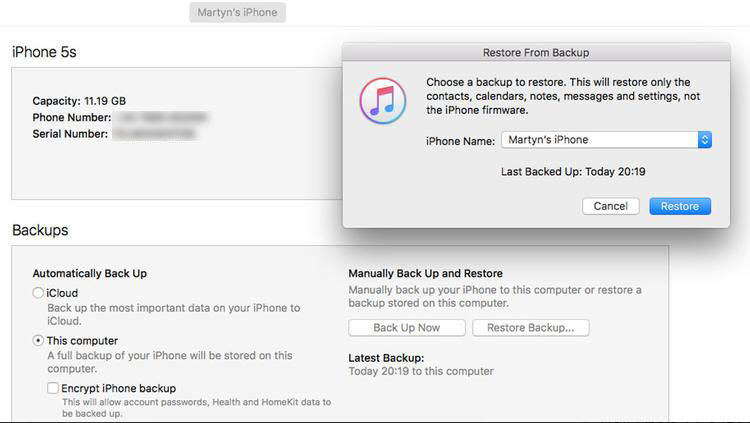 From the “Acquire Backup from Device & iCloud” tab, select the “Back Up Device” option. Step 2: Connect your device to computer first and then click “WhatsApp” from the list. Press the "Back Up" button to continue. Keep the device connected to the computer until the process is complete. Step 3: When the backup process has finished, you’ll be notified that the WhatsApp messages have been backed up successfully. 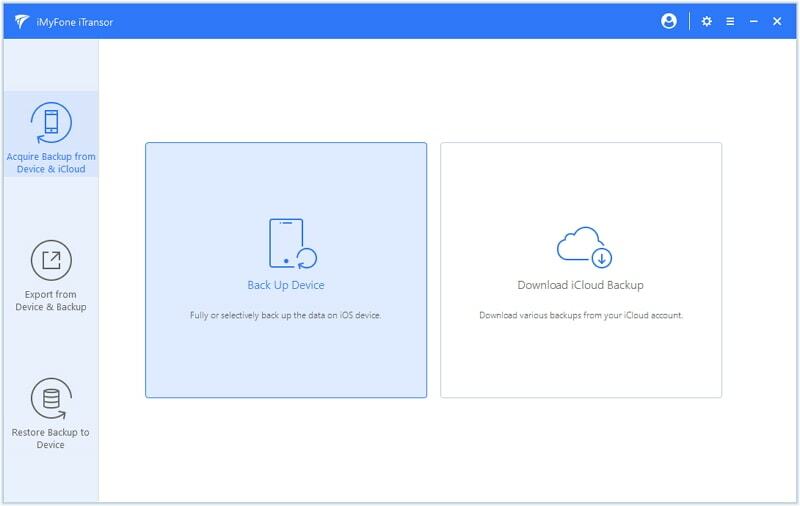 You can choose to view and export the backup, or restore the backup to another device. Step 2: Now choose "Restore Partial Backup" to proceed. Step 3: Here you will find that your WhatsApp data type has already been ticked. Then connect your device to computer via USB cable. You can see that there are two options for you to choose - "Preview & Restore" and "Directly Restore". 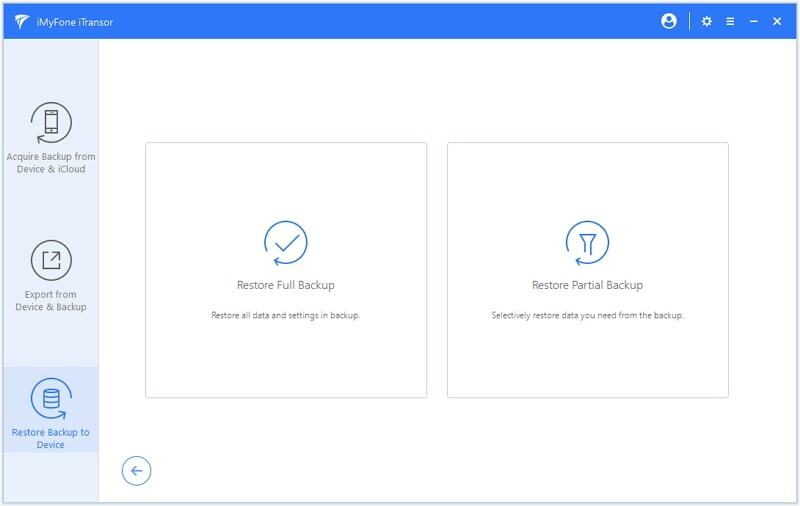 Step 4: If you are sure that this backup contains what you want, you can choose restore directly to save time. 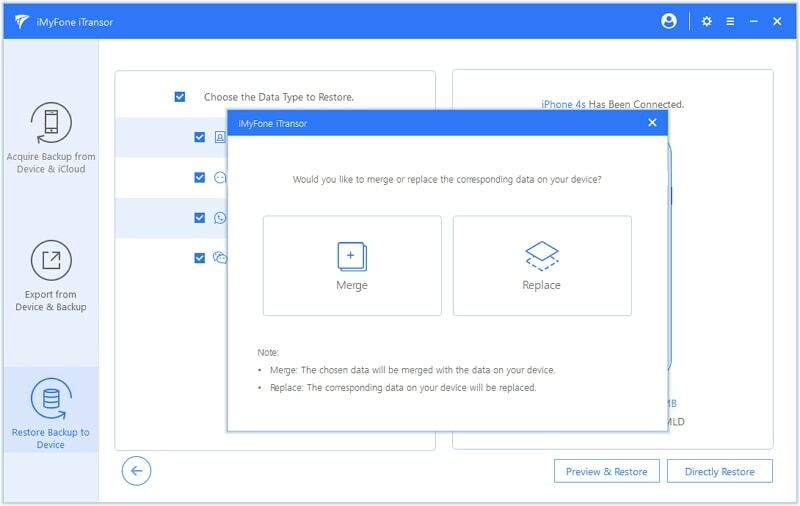 Once this restore process compeletes, you can view the restored data on your device. 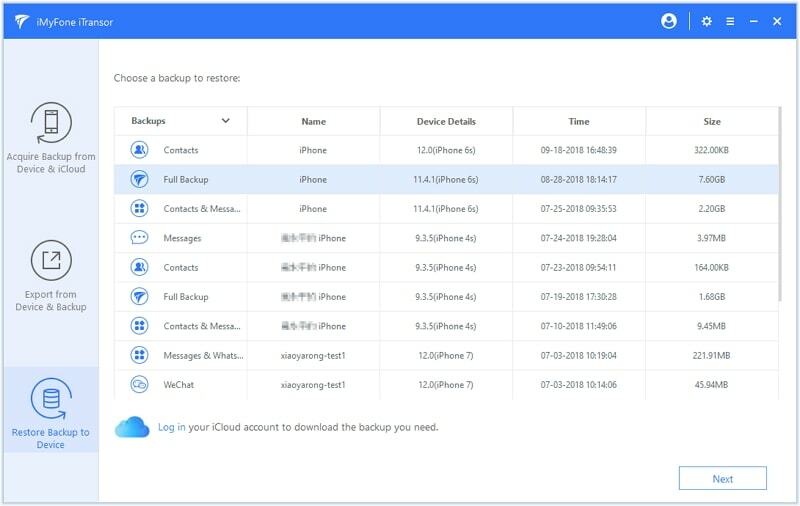 If you have an iTunes backup of the data on your iPhone, you can also restore the backup to the iPhone and in this way transfer the messages to the other iPhone. Here’s how to do that. Step 1: Connect the old iPhone to the computer and open iTunes. Step 2: in iTunes, go to File > Devices > Back Up and wait for the backup process to be completed. Step 3: Now turn on the new iPhone and connect it to the computer. Step 4: Open iTunes and then select “Restore from iTunes Backup”. Step 5: Wait for the process to be completed before unplugging the iPhone to the computer. Step 6: Login to WhatsApp on the new device with your phone number. Step 7: When prompted to restore your previous chats, tap “OK” and all your conversations will be restored on the new device. Whichever of the four methods you choose, you should be able to easily transfer WhatsApp messages from one iPhone to another. iTransor however, provides the best chance to transfer data from one iPhone to another by simply backing up and restoring the data. You can even choose to restore a partial backup to the device something iTunes and iCloud lack. Share your thoughts with us in the comments section below. We’d love to hear which method worked best for you.